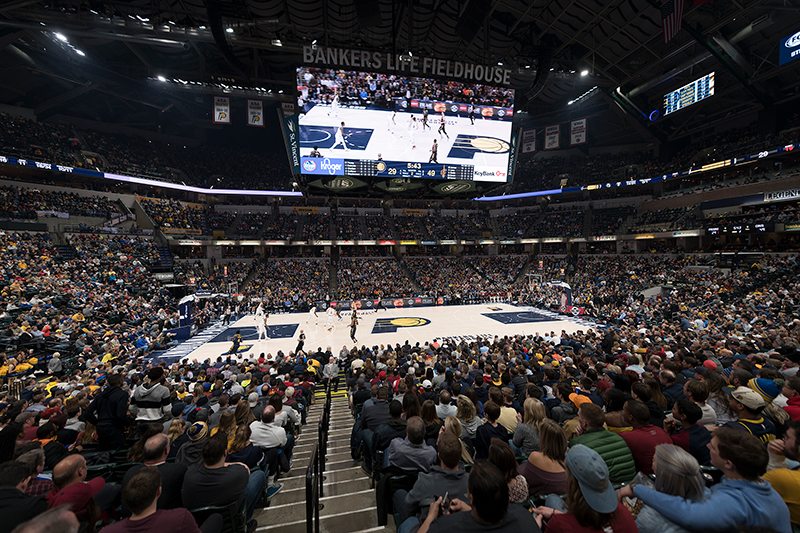 Bankers Life Fieldhouse, home to the NBA’s Indiana Pacers, is regarded by fans as “The World’s Greatest Basketball Arena.” In 2017, with the addition of Musco’s state-of-the-art Total Light Control—TLC for LED™ lighting system, the venue got even better. 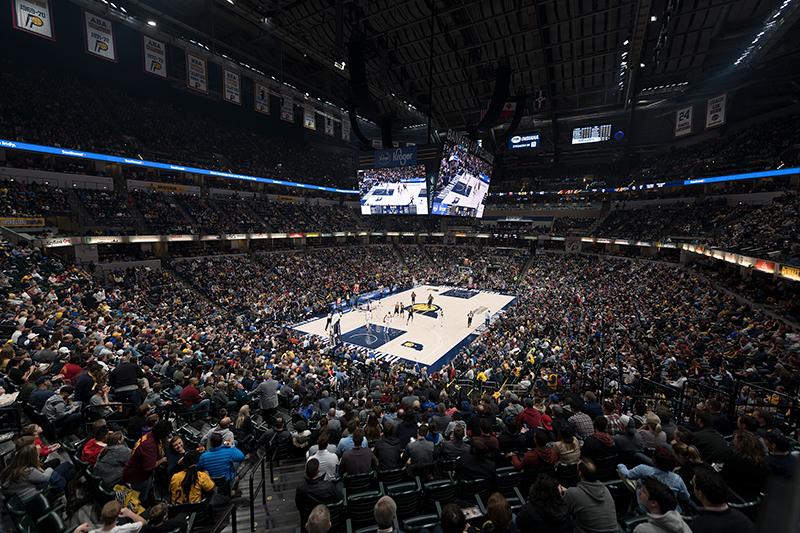 Transformed Experience – the system applies a whiter and more uniform light focused on the court while leaving most of the arena’s seating darkened. 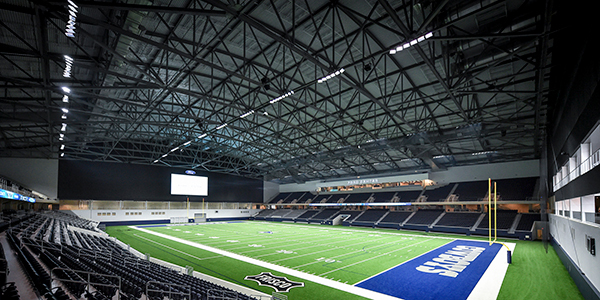 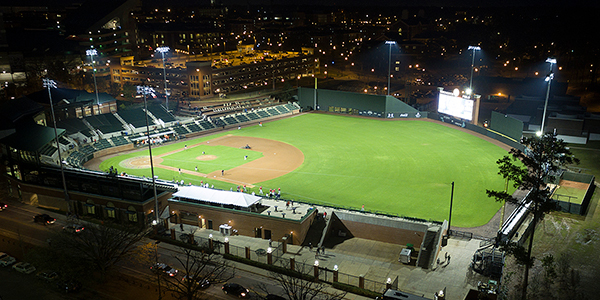 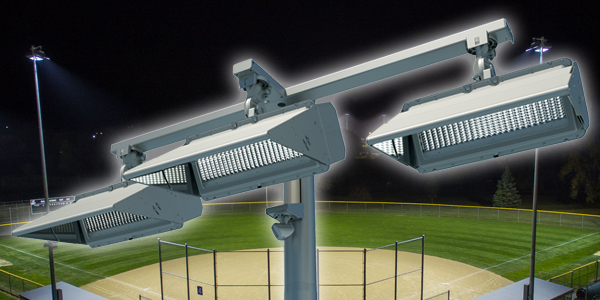 Improved Visibility – patented optics and glare control technology result in better visibility while virtually eliminating glare for players and spectators. 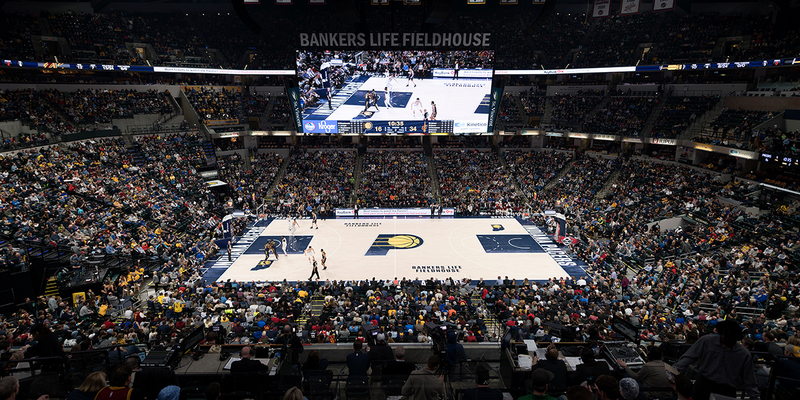 Improved Broadcasts – the lighting meets television broadcast requirements and removes the “flicker” effect that can disrupt slow-motion replays. 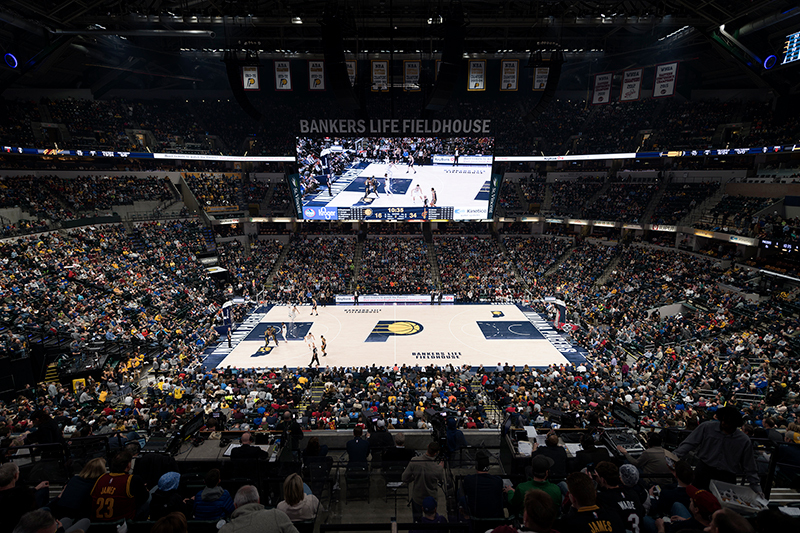 Customized Solution – the project involved the fabrication of custom brackets and a system that would adapt to the arena’s unique architectural environment. 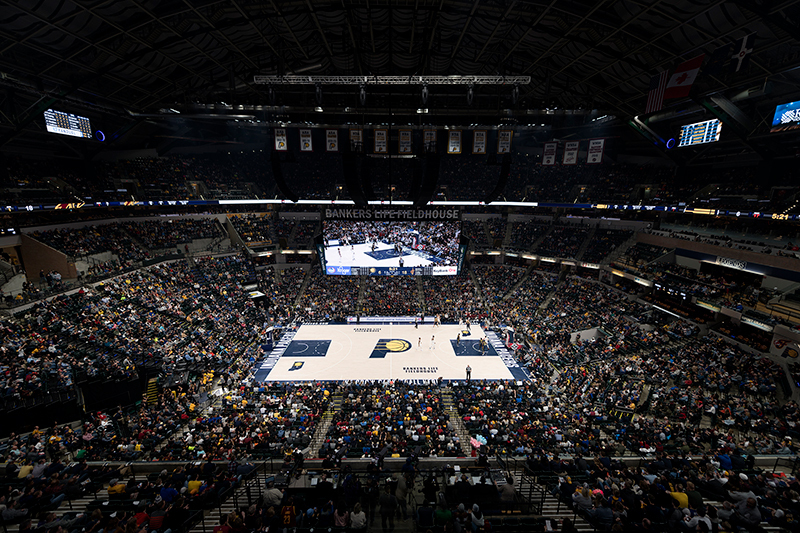 Additionally, with Musco’s long-term warranty covering parts and labor, the Pacers won’t have to worry about handling any maintenance, or paying for it, for the next 10 years.